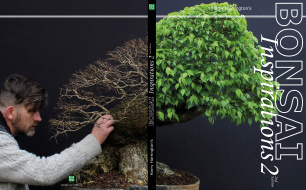 Overnight on Wednesday-Thursday 16th-17th February 2012, work began on printing 'Bonsai Inspirations 2' in Zagreb, Croatia. The cover of the book being checked by the printers for quality. The print quality of the pages themselves being checked by the Printer. The book is printed using 4 primary colours; each colour being printed individually using large aluminimum plates. The pages then have to be checked methodically to ensure that each plate has printed correctly and that there are no marks or blemishes. Each large sheet of paper is printed with 16 book-pages (8 per side), each book contains 10 different large printed sheets in total (making a total of 160 pages). Once the print quality of each sheet had been inspected, it was time to print the entire publication run!